San Jose is the tenth largest city in the United States and the third largest city in California. For a city and surrounding suburbs supporting 1.8 million residents in the heart of Silicon Valley, San Jose maintains a hyper-local, neighborhood vibrancy, even with 19 separate school districts that comprise a total of 103 schools. Though the proliferation of tech companies and a culture of innovation have brought cash influx to San Jose, opportunities and access are unevenly distributed, and recent state test scores show a learning gap with nearly half of third-grade students reading below grade level. The San Jose Public Library (SJPL) has offered literacy programs, after-school tutoring, and STEM classes for the city’s students to boost learning, but the learning gap and the need for more and better literacy have pushed the agency to rethink how to provide more educational opportunities for San Jose’s students outside of school hours. To support this goal, SJPL brought on FUSE fellow Lauren Hancock to help reimagine and design its educational programming, including after-school and summer programs, with a focus on helping support the schools in their effort to improve literacy rates. Before becoming a FUSE fellow, Hancock had worked at ed-tech firm and private school AltSchool, designing learning personalization platforms. She also had experience in early childhood classrooms in different preschools, including Google Children’s Center, before spending a year as a project fellow at the Stanford Design School’s (D School) education-focused K-12 Lab, where she worked on a year-long project focused on how school culture and climate could drive institutional change. Through a combination of her work inside classrooms, at the D School and in ed-tech, Hancock immediately saw how an innovation mindset could drive change at the public library. Developing an out-of-school learning network with the city as the hub, built on sub-networks that already existed. When Bourne began her leadership role at the library five years ago, she noticed that San Jose’s 19 individual school districts provided for lots of autonomy, but resulted in no one city department being charged with advancing educational opportunities. Occasionally a mayor would make education a priority, but as soon as the mayor left office, the initiatives would evaporate. Lauren Hancock charts the path forward at the San Jose Public Library. San Jose City Council recently agreed to move forward with the library’s “Education and Digital Literacy” strategy. Next, they’ll create a detailed framework and align resources to move the project forward. Bourne said they want to be able to come back to the City Council when they reconvene in September with their quality standards for early education and the out-of-school learning time policy framework in place. The next part of the bridge involves redesigning programming to provide students with a more robust educational experience. The library’s after-school and summer digital literacy programs are getting a reboot, including Coding 5K, as well as reading and math programming. They are also working on a pilot program with California-based tech nonprofit InPlay, which helps to connect low-income and disengaged city young people with robust, affordable out-of-school learning experiences. Though literacy is a top priority, learning experiences aren’t relegated to academics: Both Bourne and Hancock say that they are working on programming and standards to provide high-quality social-emotional learning, as well, by which students can practice crucial but non-academic skills like teamwork, empathy, and maintaining positive relationships. Some of these skills can be acquired just as well by playing a game of kickball as learning how to code, and the library team is excited to work with Parks, Recreation, and Neighborhood Services on developing an approach to embedding and measuring the development of high-quality “soft skills” throughout city programming. 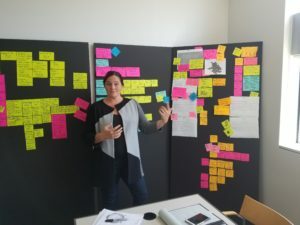 New solutions require new ways of thinking, and as part of that work, Hancock has introduced new processes of prototyping, testing and re-thinking their assumptions about solutions. She imagines a future where school-time and out-of-school time might blend together in a more flexible style of continuous learning, where students might stop their learning day to take a yoga class, or use a local museum for a classroom. Holly Korbey is an education and parenting journalist writing about teachers, parents, and schools for a national audience. Her work has appeared in The New York Times, The Atlantic, Brain, and Child Magazine. She is a regular contributor for Edutopia and MindShift.